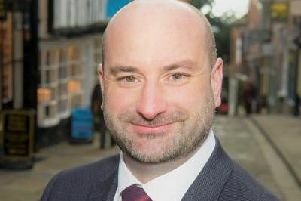 The chief executive of Lincolnshire County Council said his “neck is on the line” to deliver the authority’s contract with Serco. The authority is expected to extend its agreement with the company to provide IT, payroll, HR, customer services, exchequer services and adult care finance for a further two years. Councillors on the Overview and Scrutiny Management Board have backed the council’s decision to go ahead with the firm. Final approval is expected to be signed off by senior councillors next week. Chief executive, Keith Ireland, said that he is confident that Serco are the right company to provide the service. “My neck is on the line for this,” he said. “It is my recommendation with colleagues that we extend with Serco and therefore I’ve got to be accountable to make sure that relationship works effectively. Mr Ireland added that the company is as “good as anyone” to provide the service. Serco’s contract had been beset by problems which led to the county council reconsidering their services. In December 2015, hundreds of public sector staff were left unpaid following an IT error which resulted in the company apologising to workers. Since then, the council had the opportunity to enter into a shared service agreement with Herefordshire County Council to deliver payroll. But, officials turned the agreement down after they said they “could not influence” the service going forward. The five-year contract with Serco is due to expire at the end of March 2020. Council officers have now recommended that Serco, which employs 400 staff in Lincoln, continues providing IT, payroll, HR, customer services, exchequer services and adult care finance until the end of March 2022. But some services will be taken on in-house such as Freedom of Information, complaints and information governance and the Agresso payment system administration. Chairman of the scrutiny board, Coun Rob Parker, said he and other councillors felt comfortable with the extension. “It’s been a long slow process,” he said. “But we are now in a position where we are comfortable that Serco has delivered on its key performance indicators. “Payroll caused some particular concern in the early days and it took some time for that to be sorted out.